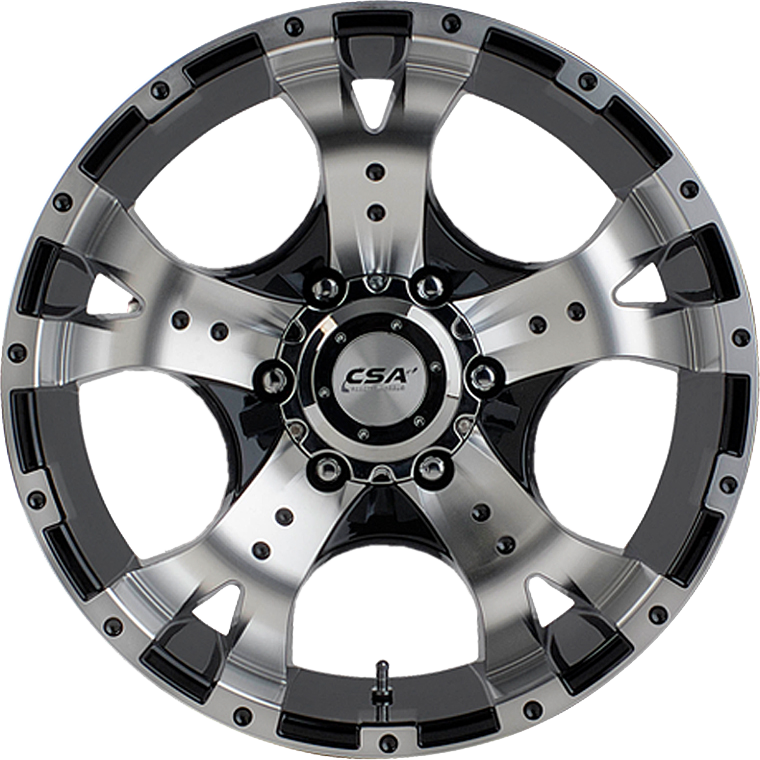 CSA Jackal is an aggressive, tough looking alloy wheel suitable for a huge range of 5-stud and 6-stud 4x4’s & SUV applications. The Jackal wheel is available in 16x8”, 17x8”, 18x8”and 20x8.5” sizes. CSA Jackal is an aggressive, tough looking alloy wheel suitable for a huge range of 5-stud and 6-stud 4x4’s & SUV applications. The Jackal has a brilliant Gloss Black finish with large machined spokes and a huge deep lip with rim edge highlights. The Jackal wheel is available in 16x8”, 17x8”, 18x8”and 20x8.5” sizes. The Jackal is load rated to an impressive 1250 Kg in all sizes. In 6/114.3 bolt pattern Jackal suits all new Nissan Navara and Pathfinder models. Jackal in 5/120/114.3 bolt pattern suits the new VW Amarok Ute plus a comprehensive range of 4x4 vehicles with 5/114.3 bolt pattern such as Courier, Escape, Explorer, Territory, CRV, Hyundai 4x4, Lexus 4x4, Tribute, Outlander, Hilux, Kluger & Rav4.